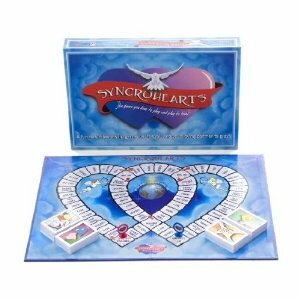 Over the past two weeks, I had some time to connect with hubby through Syncrohearts game! Waiting on baby isn't always fun and games, but this game is pretty cute! We learned a few additional things about one another and played in less than an hour. It was an easy game to understand, so my pregnant self was able to fully participate! We like how the questions related to our relationship and it gave us more time to talk about US and not all the other things going on in life! MamaBreak received the above game to review here on MamaBreak. We did not receive any other type of compensation. As always, our opinions and experiences are our own.